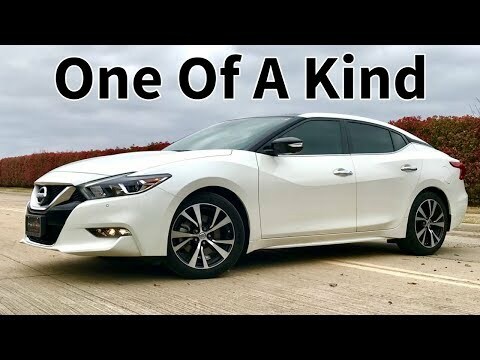 The radically styled 2018 Nissan Maxima definitely has what it takes to turn heads. A 300-horsepower V6 is standard, as is a long list of comfort and safety features that make the Maxima feel more like an entry-level luxury car. Modest rear-seat room is one drawback, while enthusiasts will likely shun the Maxima's front-drive layout. The great look of it, the way it handles and the comfort. I have not had any problems since ownership, I drive to and from patient homes daily the ride is very comfortable, the quality of the stereo system makes it very enjoyable, the navigation system makes traveling to new places a breeze. The back and front camera are such great assistance when it comes to parking in tight spots. I travel to some places that are not so secure and the keyless entry makes it that much quicker to enter my vehicle with just a touch of my finger, the gas mileage is great as well. The car handles easily and makes driving that much more pleasurable. I love the interior, it is very nice with dark seats. I love my Nissan, it is great on gas, especially on the highway. It has drives really smooth and I haven't had any problems out of it so far. It has a nice sleek shape to it and the interior is very nice. I love the seats, but kind of wish there was more room. The trunk has plenty of room for groceries or trips that I need to take. I like the keys that go to my car, very convenient to slip in and out of my purse. I think the spike in my car is great as well. The stereo is big and the buttons are easy to locate so playing music in the car is always fun.